The Village at Bingham Point is a 55+ community located in West Valley City, Utah. Homes in this community are available on a new construction basis and upon completion it will host 81 homes. This community enjoys natural beauty with scenic mountain views, seasonal temperatures, and its location in the Salt Lake City area. 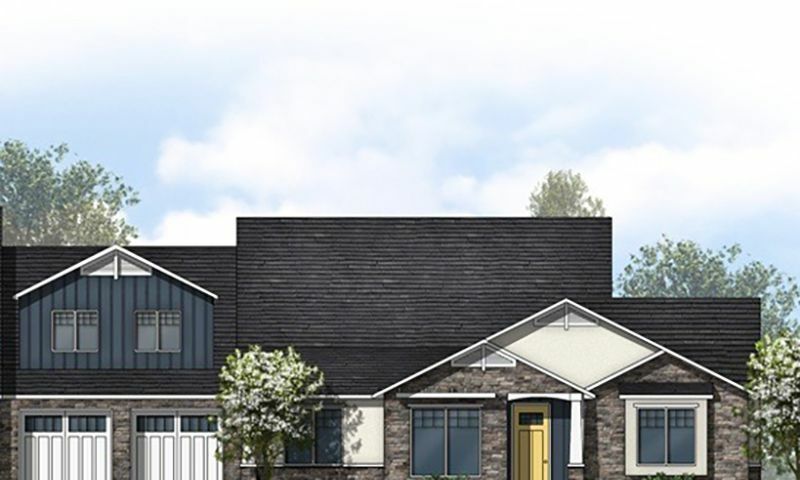 With quality-crafted homes and a variety of amenities and activities, The Village at Bingham Point is a great option for retirees in Northern Utah. Once completed, the community center will serve as the focal point for socializing in The Village at Bingham Point. This center will be home to an activity area, perfect for group gatherings and events. A business center will also be featured as well as a library where neighbors can catch up on the newest novel or even form a book club. Challenge a friend to a game of billiards, also available on-site. There will be a full exercise room for residents to use, meaning there’s no need to pay a pricey gym membership when you live here. Outdoors, a pavilion makes the perfect gathering place for picnics and parties among friends. Pickleball courts encourage recreation and friendly competition, and a community garden gives a home to all of the green thumbs. A series of walking and biking trails also meander through the grounds, giving residents the perfect venue for enjoying all of Utah’s natural beauty. Peterson Homes began construction on The Village at Bingham Point in 2014, and when completed, this community will feature 81 attached units. Because the homes here are new construction, homebuyers have plenty of options when it comes to customizing their new home to be a perfect fit for their needs. And with low-maintenance exteriors and single-level living, the townhomes here are perfect for active adults who want to relax and enjoy retirement without the worry of keeping up a large property. Life at The Village of Bingham Point promises fun at every turn. Events like community barbecues and gatherings are common here thanks to the outdoor social spaces. Residents can join the book club, create their own crafts, take up gardening or a group education course. Stay in tip-top physical shape with group fitness classes and regular pickleball games. Neighbors here are also encouraged to start clubs of their own based on mutual interests. Whatever it is you like to do, you can make it happen at The Village at Bingham Point. The Village at Bingham Point is located in West Valley City, Utah, part of the greater Salt Lake City region. The close proximity to Utah’s biggest metropolitan center means that residents here can enjoy the hustle and bustle of the big city but still go back to their quiet homes at the end of the day. World-class dining and entertainment are never far for those willing to head into the city. West Valley City is also home to a number of everyday conveniences that make life in this community a breeze. The neighborhood is down the road from a number of shops, restaurants, and houses of worship. Just a nine-minute drive from Ream’s Foods, grocery shopping is easy for residents here. Golf enthusiasts will love being just a five-minute drive from the Copper Club Golf Course. With so many options for recreation both in this community and nearby, it’s clear that The Village at Bingham Point is a great choice for 55+ adults in Northern Utah. There are plenty of activities available in The Village at Bingham Point. Here is a sample of some of the clubs, activities and classes offered here. The Village at Bingham Point began construction in 2014, and when completed, this community will feature 67 attached units. Because the homes here are new construction, homebuyers have plenty of options when it comes to customizing their new home to be a perfect fit for their needs. And with low-maintenance exteriors and single-level living, the townhomes here are perfect for active adults who want to relax and enjoy retirement without the worry of keeping up a large property. 55places.com is not affiliated with the developer(s) or homeowners association of The Village at Bingham Point. The information you submit is distributed to a 55places.com Partner Agent, who is a licensed real estate agent. The information regarding The Village at Bingham Point has not been verified or approved by the developer or homeowners association. Please verify all information prior to purchasing. 55places.com is not responsible for any errors regarding the information displayed on this website.